This is a gallery of images featuring Bullet Bill. A Missile Bill from Super Mario All-Stars. A Banzai Bill from Super Mario World. A Bombshell Bill from Paper Mario. A Purple Bullet Bill from Super Mario Sunshine. A Sniper Bill from Mario & Luigi: Superstar Saga. A Bombshell Bill from Paper Mario: The Thousand Year Door. A Mad Bullet Bill from Super Princess Peach. A Banzai Bill, from Super Princess Peach. A Mad Banzai Bill from Super Princess Peach. A Banzai Bill from New Super Mario Bros..
A Banzai Bill from Mario & Luigi: Bowser's Inside Story. A Banzai Bill from New Super Mario Bros. Wii. A King Bill from New Super Mario Bros. Wii. A King Bill, from New Super Mario Bros. Wii. A Banzai Bill from Mario & Luigi: Dream Team. A Banzai Bill from Puzzle & Dragons: Super Mario Bros. Edition. A King Bill from Puzzle & Dragons: Super Mario Bros. Edition. A Bull's-Eye Bill from Super Mario Maker in the Super Mario Bros. style. A Bull's-Eye Bill from Super Mario Maker in the Super Mario Bros. 3 style. A Bull's-Eye Bill from Super Mario Maker in the Super Mario World style. A Sniper Bill from Mario & Luigi: Superstar Saga + Bowser's Minions. The Bullet Bill trophy in Super Smash Bros. Melee. 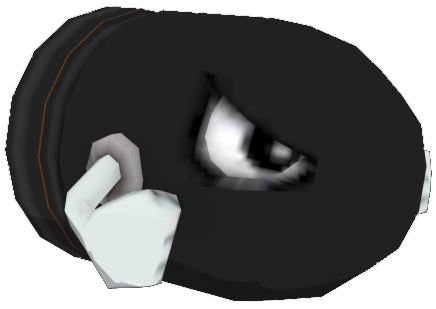 The Bullet Bill trophy in Super Smash Bros. Brawl. Banzai Bill from New Super Mario Bros.
Banzai Bills in Super Mario Galaxy. Big Bullet Bill from Mario & Sonic at the Olympic Winter Games. Banzai Bills from New Super Mario Bros. Wii. Missile Bills, from New Super Mario Bros. Wii. A Banzai Bill, from Super Mario Galaxy 2. Tail Bullet Bills, from Super Mario 3D Land. Cat Bullet Bills, from Super Mario 3D World. Cat Banzai Bills, from Super Mario 3D World. This page was last edited on April 24, 2019, at 00:52.